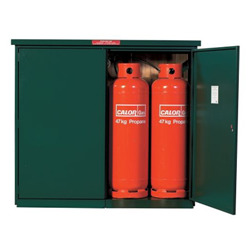 Metal Sheds from propane gas storage to large home and industrial galvanised secure steel sheds, can be found here. 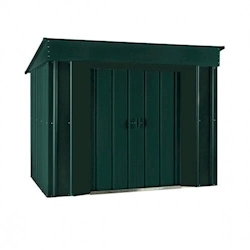 Our range of high quality metal sheds are available in a choice of brands, colours and sizes and all offer high specification secure storage solutions for any garden. 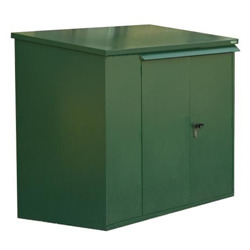 This incredibly diverse collection offers fantastic quality metal sheds from top brands such as ASGARD and STORE MORE at cheap online prices. 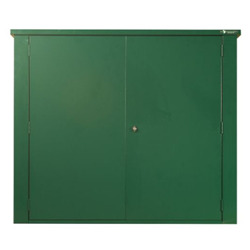 We offer free UK delivery on all of our metal sheds. 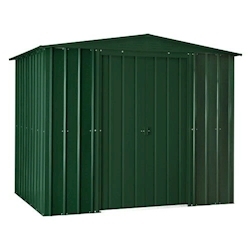 Find out more about our Metal Sheds range. 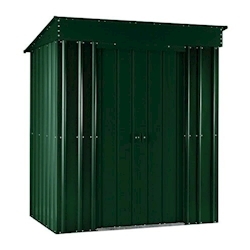 Our range of high quality cheap Metal Sheds can be found in this section. 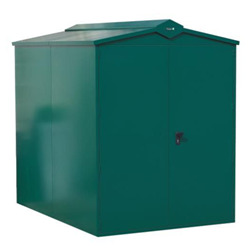 Available in apex or pent style roofs, there should be a metal shed for any requirement. 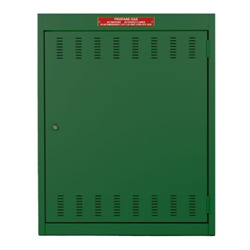 Metal Sheds are a great choice for anyone who is seeking secure storage that generally requires low maintenance. Due to the sheds being built from metal as opposed to wood they offer lasting quality, virtually rot-proof and often increase security levels. They tend to be considered as a more secure garden building as they’re stronger and ridged. 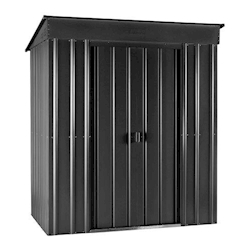 Here at Tiger Sheds we have a whole range of metal sheds in different shapes and sizes so there’s something to fit in perfectly with every garden. 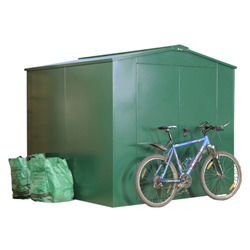 The Canberra Ten Metal Shed is an excellent quality building with plenty of space for storing all your garden equipment; Olympian Metal Shed to keep your vehicle safe; Asgard Gladiator Metal Shed perfect for storing your bikes and many more options depending on what you’re hoping to keep stored away safely. 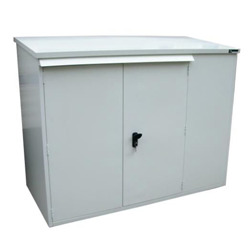 We have a great range of secure metal sheds and metal sheds with floors. A great advantage on having a metal shed is that they increase security as they tend to be stronger buildings than wooden sheds. Our selection of metal sheds come in all different designs and styles so you can pick a metal shed that would make the perfect addition to your garden and home. 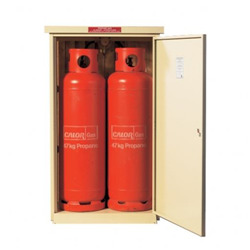 We also offer free delivery across most of the UK.